This was my Grandpa's very first pick up truck. It's a 1929 Model A that he paid $50 for when he was just 13 years old. 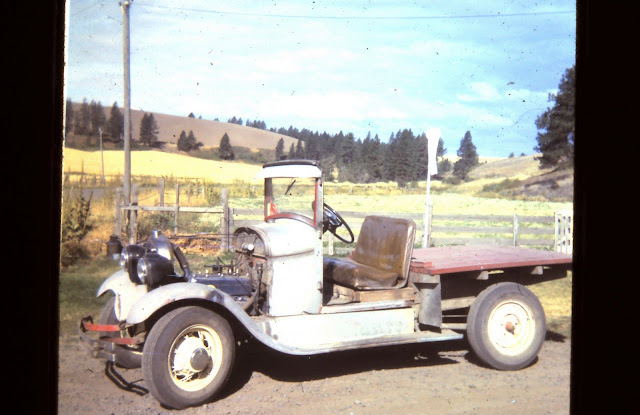 My Great Grandpa Joe had to drive it home from a wrecking yard North of Couer d'Alene, Idaho because my Grandpa wasn't old enough to drive it at the time, but boy did he have fun on the back roads with it until he was old enough to get his license!